In one of the previous posts, we briefly touched upon the topic of what a Growth Hacker is and what the requirements are for a person working as a Growth Hacker. Let’s now look at a few examples of where Growth Hacking has helped companies scale exponentially. Paypal’s friend referral: As a new payment mechanism primarily fighting with large banks, PayPal’s big challenge initially was to get new customers to adopt their product and get them started on using it. Traditional advertising was too expensive and also there was no assurance that people who they reach out to, would use them. Initially, the PayPal team thought of doing business development deals with big banks but that didn’t work out and they understood that they needed a direct to customer approach that would provide a organic, viral growth. So they started a referral campaign wherein any customer of theirs would get $10 for each friend they refer that joins up and these new customers, upon joining get a $10 amount too. Although this cost PayPal a $20 customer acquisition cost, they were able to witness a 7 to 10% daily growth and acquired 100 million users in a very short span of time. Not only did they acquire these new users, but because the new users already had $10 in their PayPal account, they would end up using PayPal to use the amount. AirBnB’s Craiglist Hack: This was around the time when AirBnB had just started up and needed to gain an initial traction. Now since AirBnB is essentially a double-sided marketplace, they needed to ensure that they have sufficient listings to make it attractive to customers while at the same time, they need customers staying at these houses to make it attractive for home owners to list them. In order to gain an initial traction, AirBnB latched onto Craiglist’s popularity and allowed it’s users to post their AirBnB listing to Craiglist. The Growth Hackers at AirBnB were able to figure out a hack through which their property owners were able to post their listings on a platform with 10s of millions of users and immediately they were able to provide the initial customers to these property owners. From here on, the word spread and AirBnB got more listings and more customers. Dropbox Referral Program: Dropbox also had a similar growth hack to Paypal where they used a referral campaign to get more users to Dropbox. The scheme was extremely simple and yet extremely attractive for its users. When one person who has Dropbox refers another, they both get a 500MB space, provided the person getting refered signs up to Dropbox. Like PayPal, this scheme offered a real incentive to people referring others and since you would get referred by a friend, it instills more trust in the product than an advertisement ever could. Furthermore, the sender has incentive to get the referree to sign up to avail the extra space. The scheme is also brilliant since you would probably be using Dropbox to share content with these very friends. This total costs Dropbox 1GB of space – far less than a Google AdWords buy. The Dropbox referral scheme has been extremely successful with number of users going up from 100,000 in Sept 2008 to over 4,000,000 by Jan 2010. 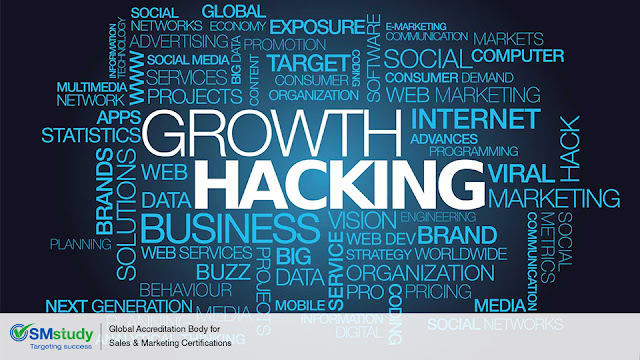 Hotmail: One of the earliest companies to use growth hacks and get exponential growth through virality was Hotmail. Hotmail grew its subscriber base from zero to 12 million users in 18 months, more rapidly than any company in any media in the history of the world. And it did so with an almost zero advertising budget of $50,000. What's more amazing was that Hotmail was able to do this while competitors like Juno spent $20 million on traditional marketing in the same time period with less effect. The marketing "plan" was pretty simple. Whenever you send someone a message, the words in the signature of each email contained “Get your free email at Hotmail”. The word Hotmail was hyperlinked to re-direct anyone clicking to Hotmail’s home page where Hotmail explained what they were and got users to sign up. Hotmail also became the largest email provider in several countries, like Sweden and India, where it had done no marketing whatsoever. So as we can observe from the above examples, you do not need to necessarily overspend in marketing to get more customers than your competition. The key is to understand customer needs and develop a good value proposition for them while also ensuring that the product you deliver solves their need best in the market. The companies listed above understood this pretty early and hence were able to become market leaders.